Hello! I hope you all had a great Fourth of July! We have added some wonderful and fun pieces to the shop as well as working behind the scenes on a couple of new ones! and it went the door on the first day! 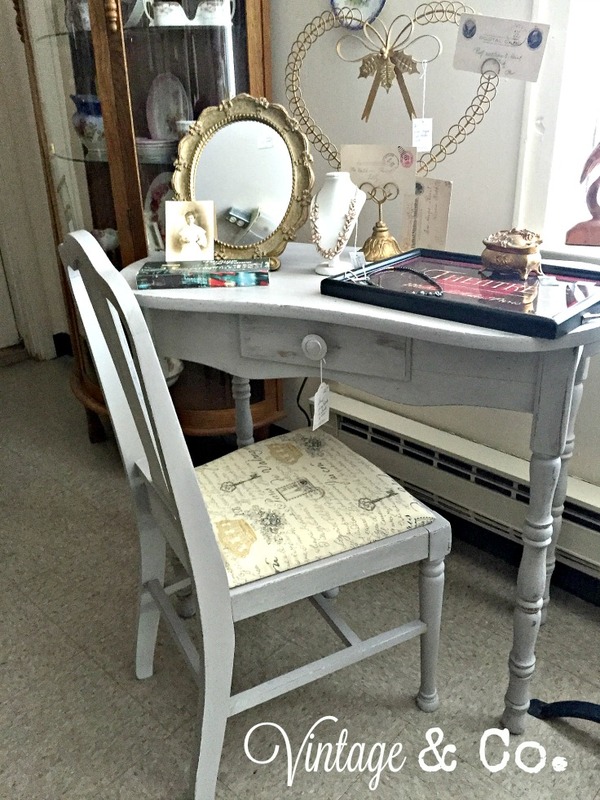 perfect for small space living! 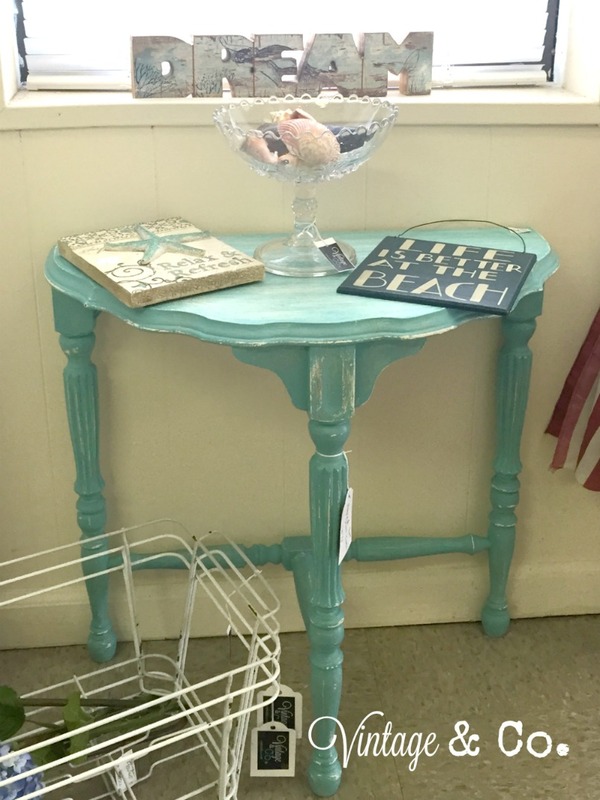 And this aqua side table will have you day dreaming about being at the beach! covered in an all new vintage style French script fabric. 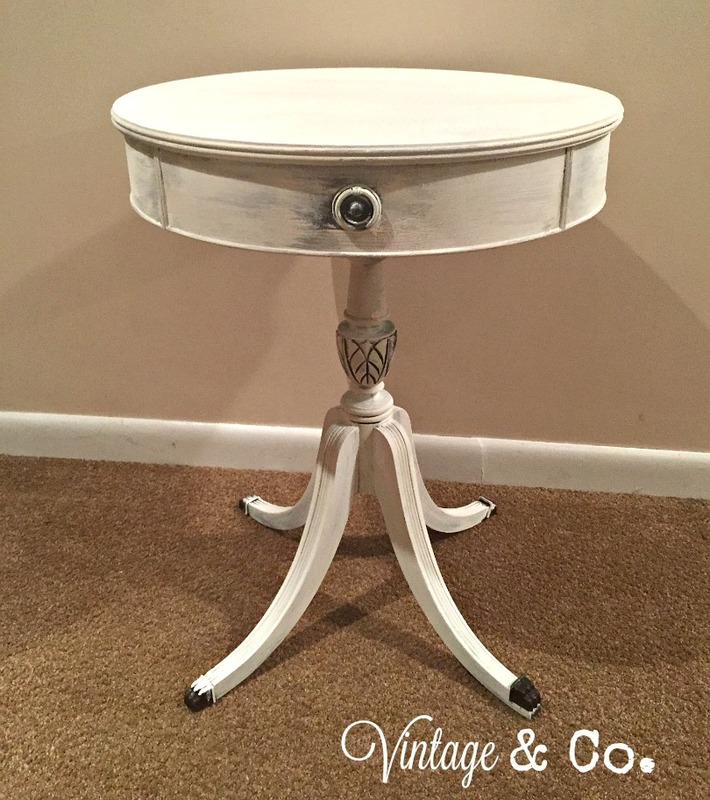 A vintage drum style table chalk painted in white. 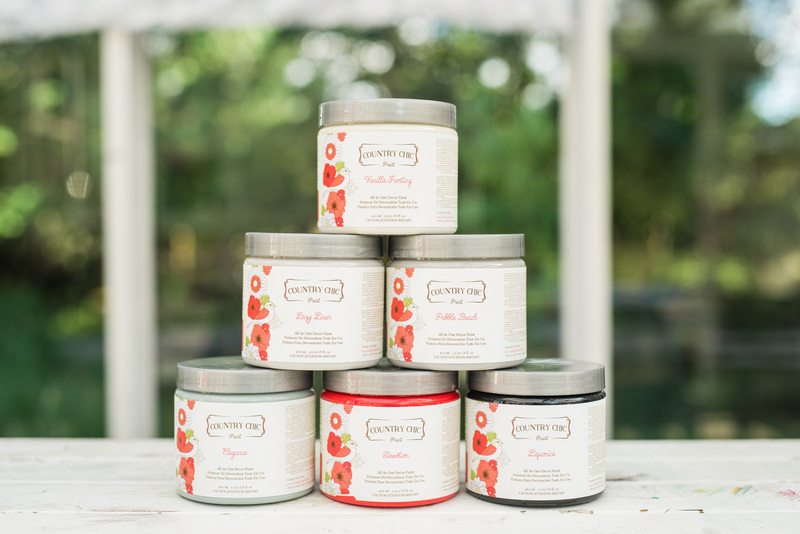 . .
with a natural wax to be used in the final phase. 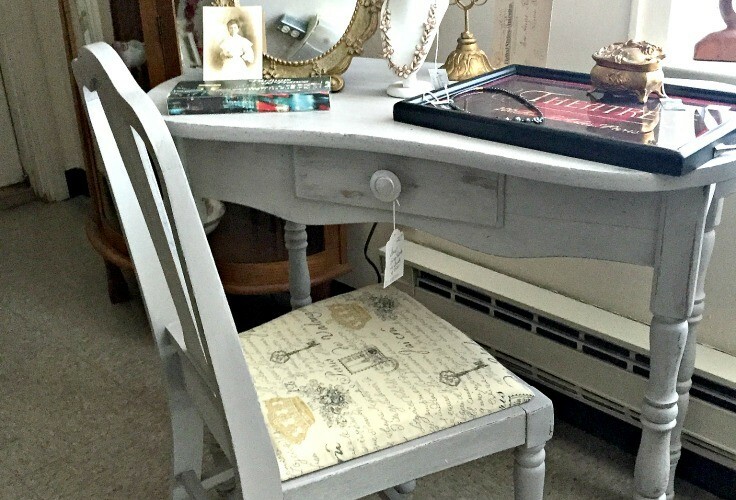 I’m working on the finer details… do you like more distressed or less? sense of how I want it to look. 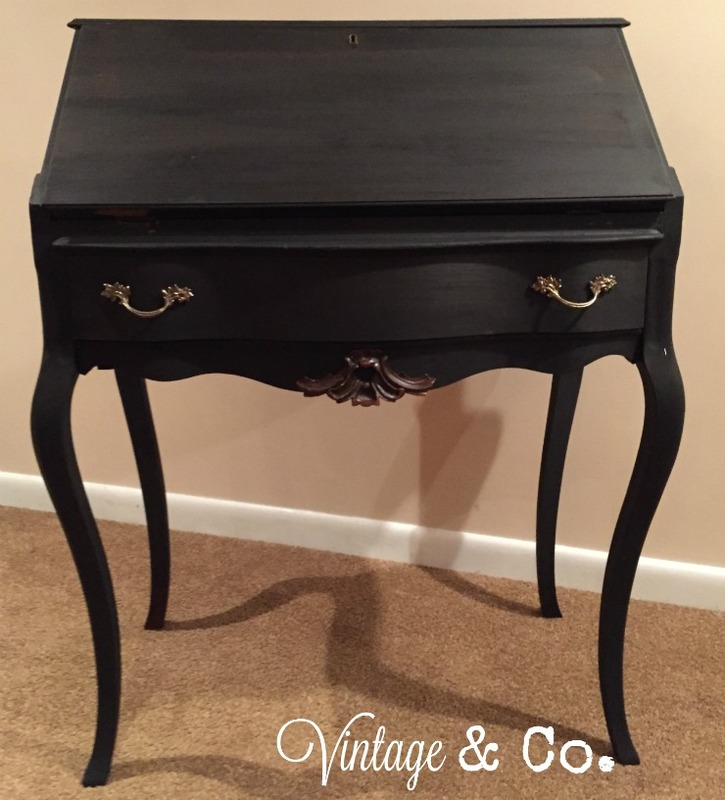 You may also like this antique black chalk painted secretary desk with a touch of gold. a coat of dark wax. 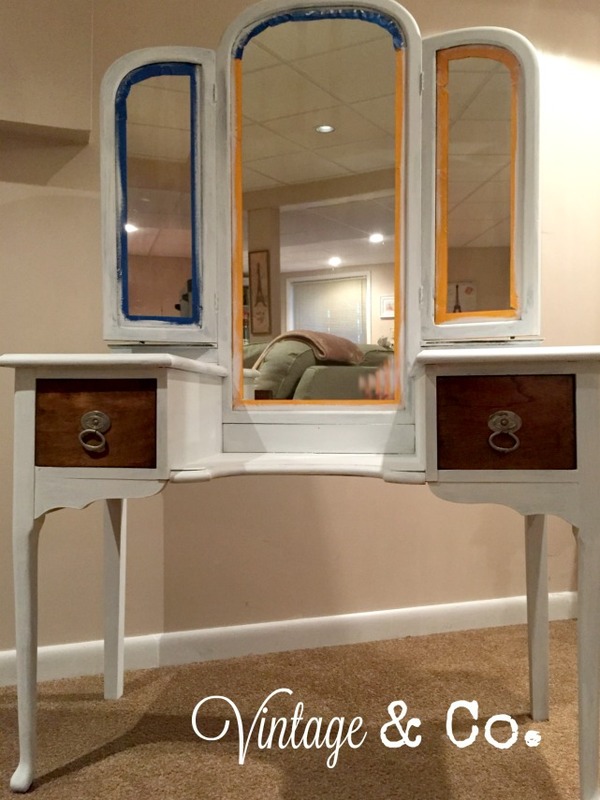 I’m tackling another vanity as the one in the shop sold over the weekend. 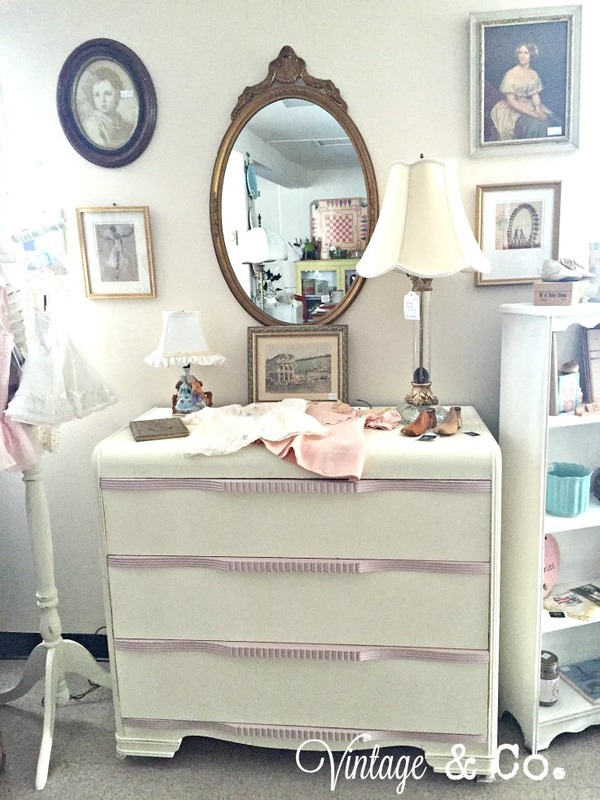 I am going to use a light color on the drawers. These last three pieces should arrive in the shop by Wednesday. I’ll post the new transformed pieces with dimensions and prices when they are done!